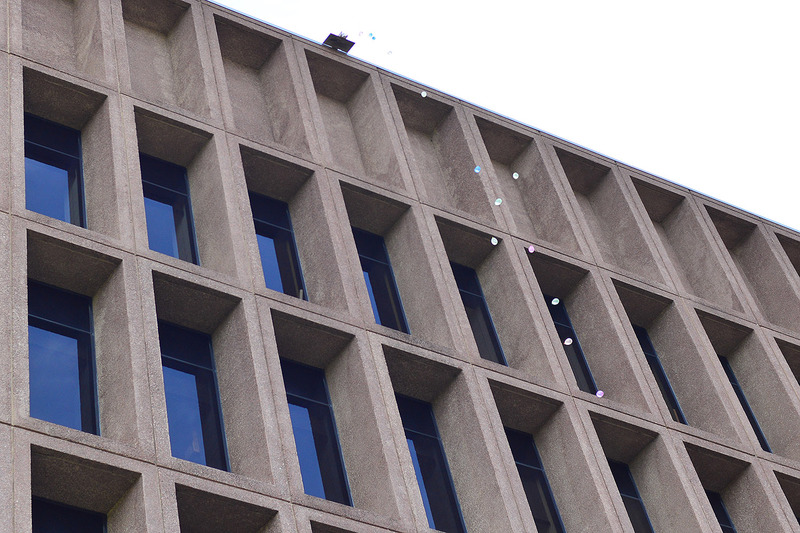 The audience counted down 3-2-1 before dozens of water balloons fell eight stories to the ground. 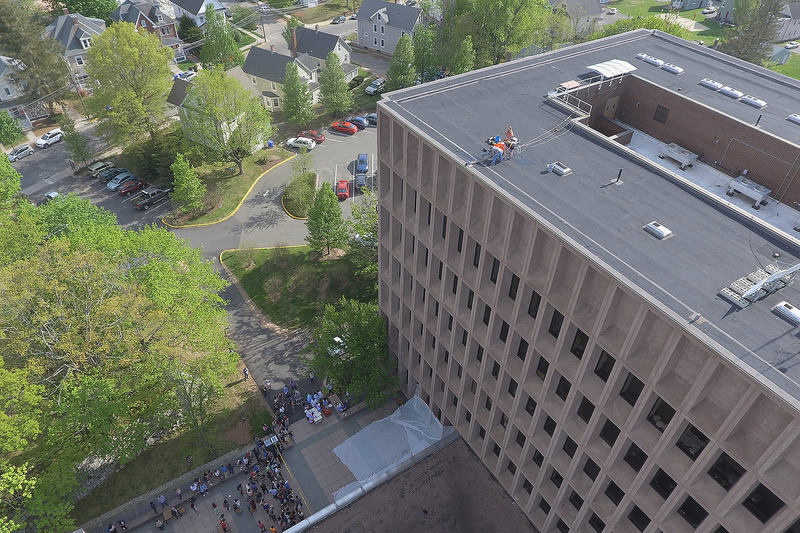 At approximately 100 feet tall, Exley Science Center is the tallest building on campus. 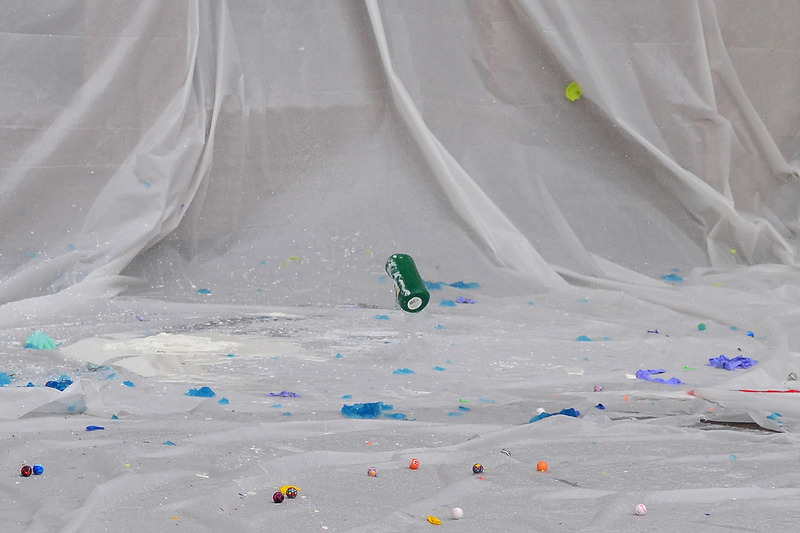 A plastic water bottle splits on impact. 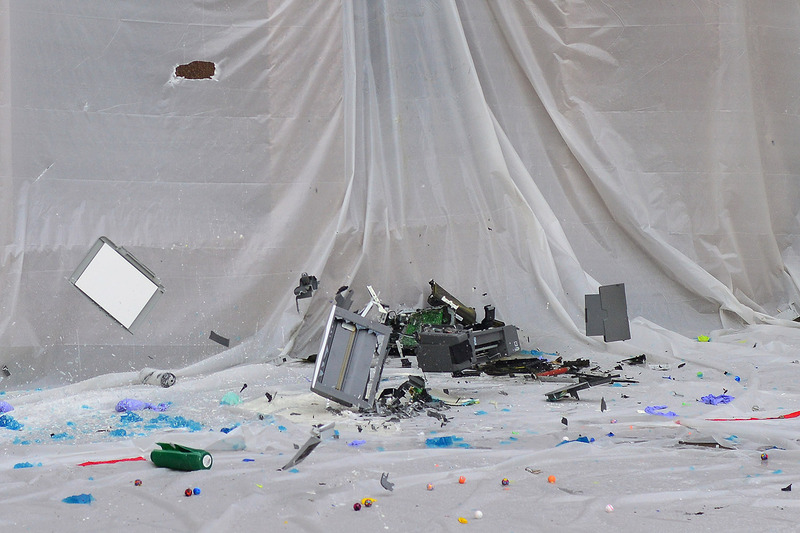 A discarded inkjet all-in-one printer/fax machine smashes into hundreds of fragments. 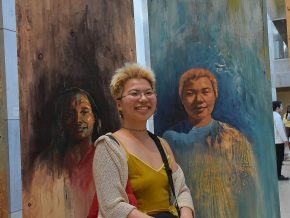 At left is the top of a scanner, in the center is the scanner, and floating at right is the paper tray for the printer. 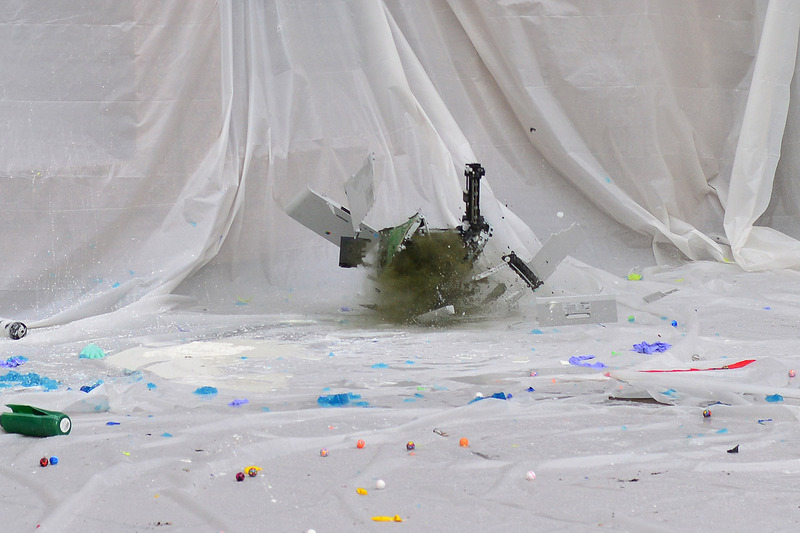 A printer, still filled with color ink toner, explodes when it strikes the ground. 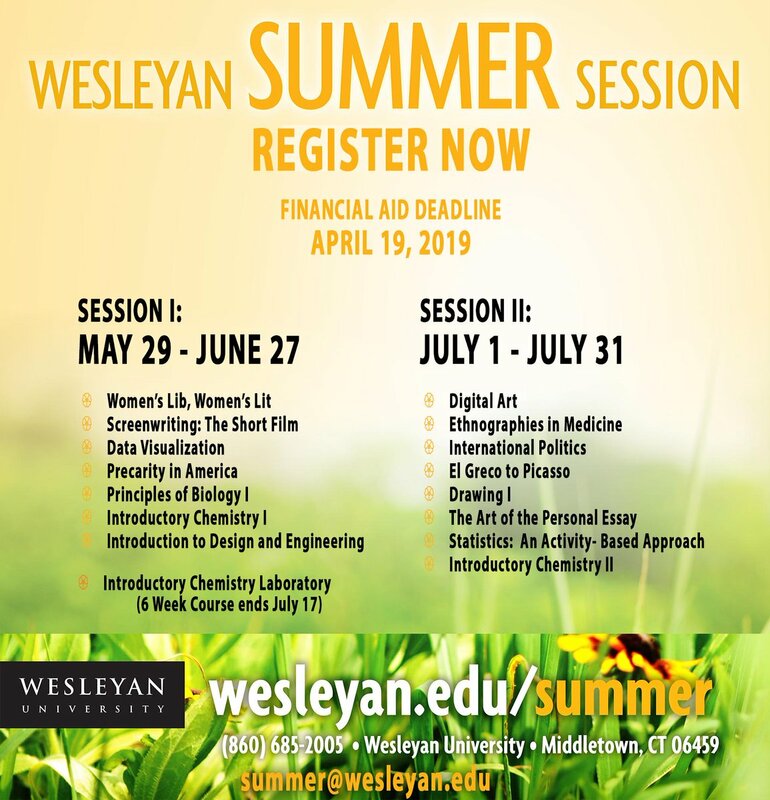 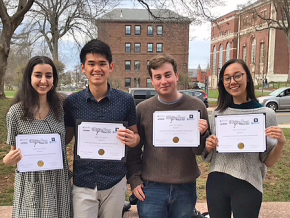 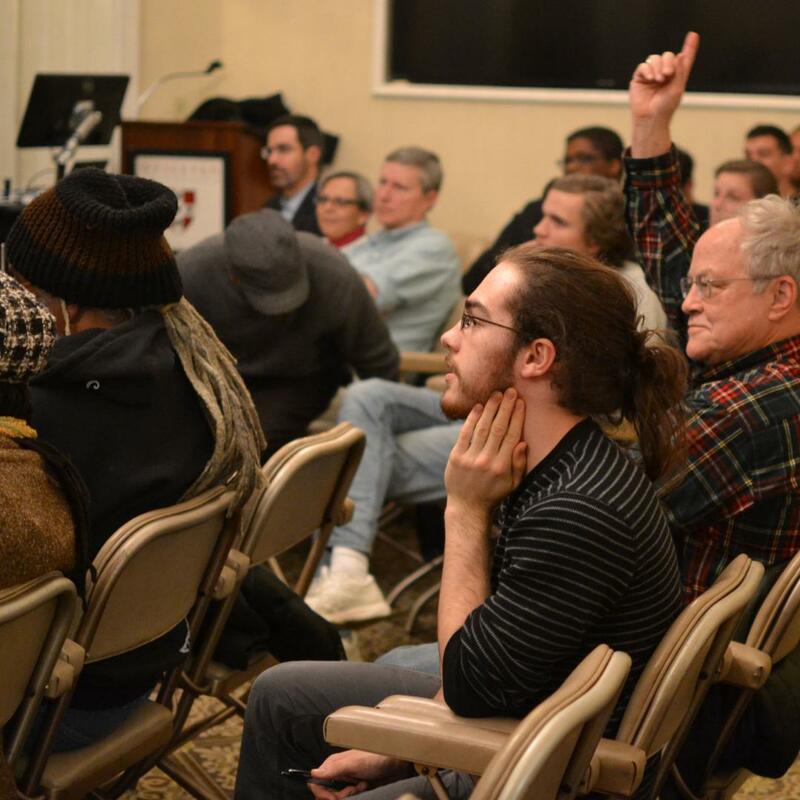 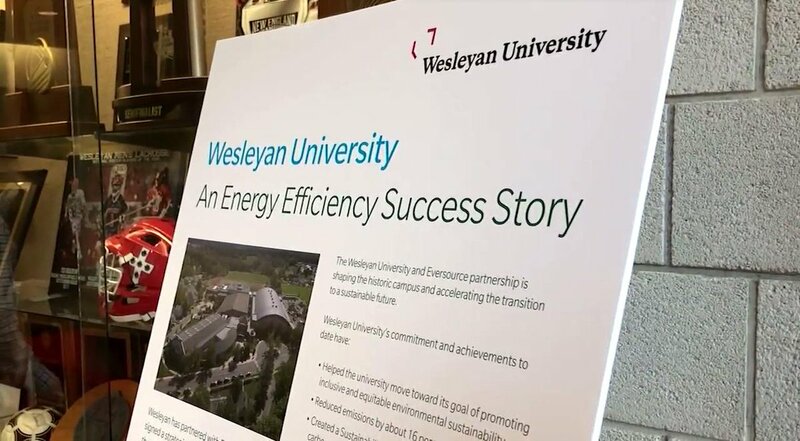 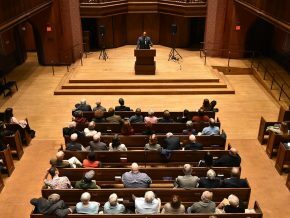 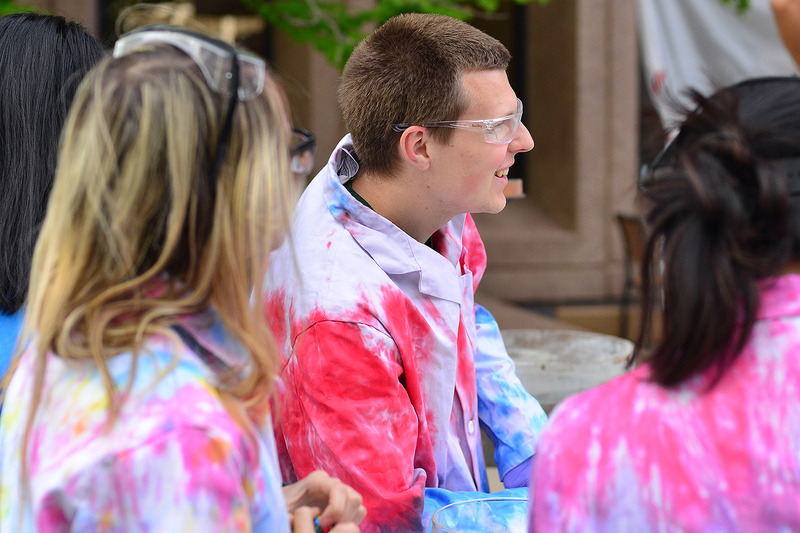 The event was hosted by the Wesleyan Mathematics and Science Scholars (WesMaSS) and the Free Radicals (the chemistry majors’ group). 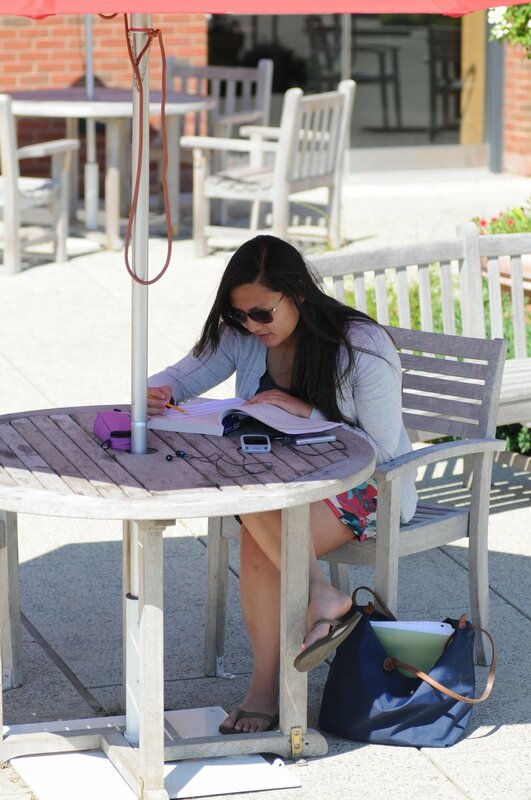 Pictured is graduate student Corey Phillips ’17. 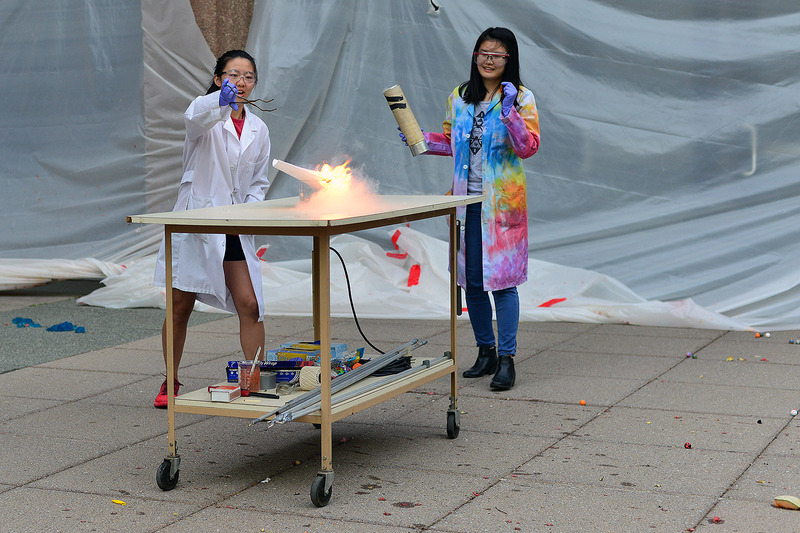 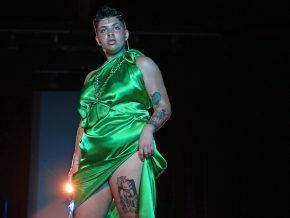 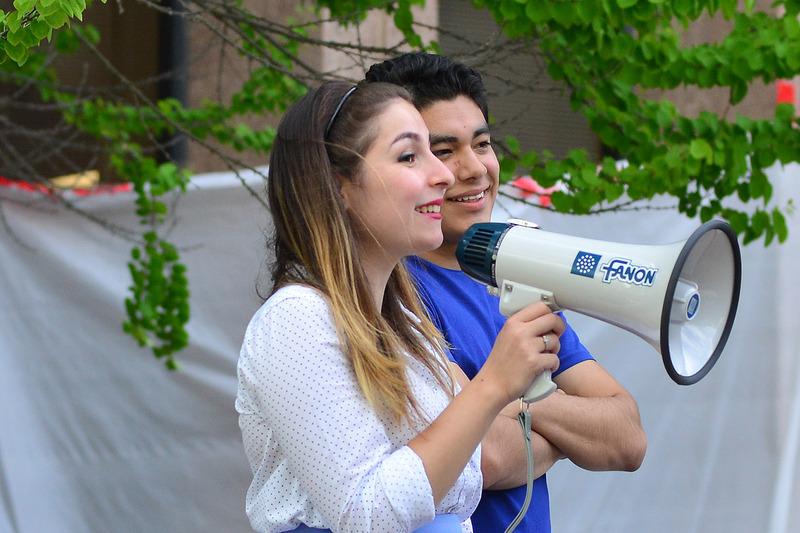 Giselle Reyes ’18 lights nitrocellulose—or gun cotton—which is extremely flammable. 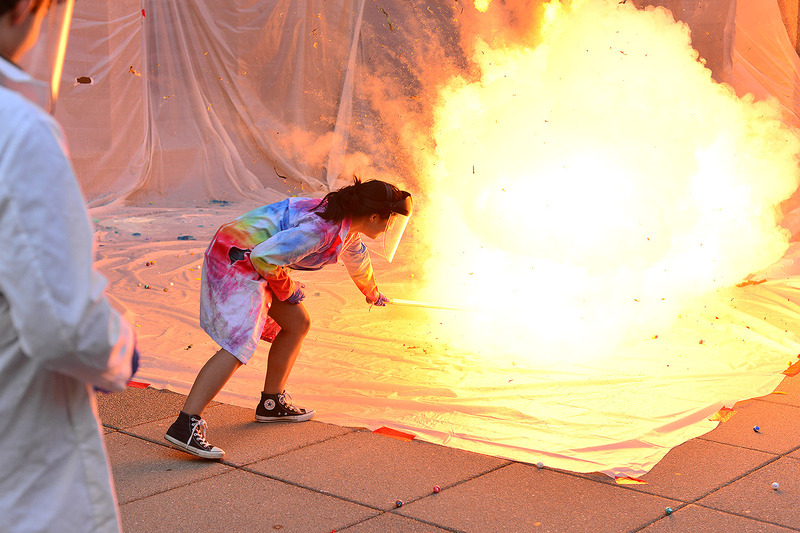 The Free Radicals hosted a series of pyrotechnic demonstrations during the Big Drop. 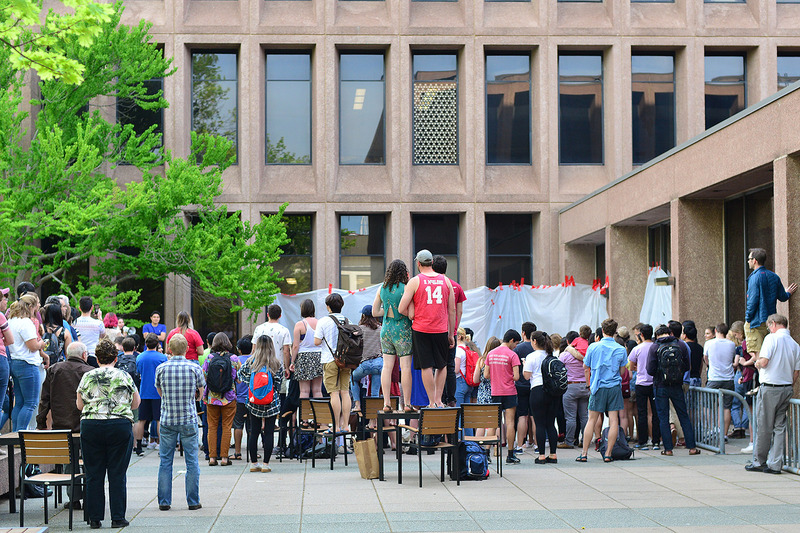 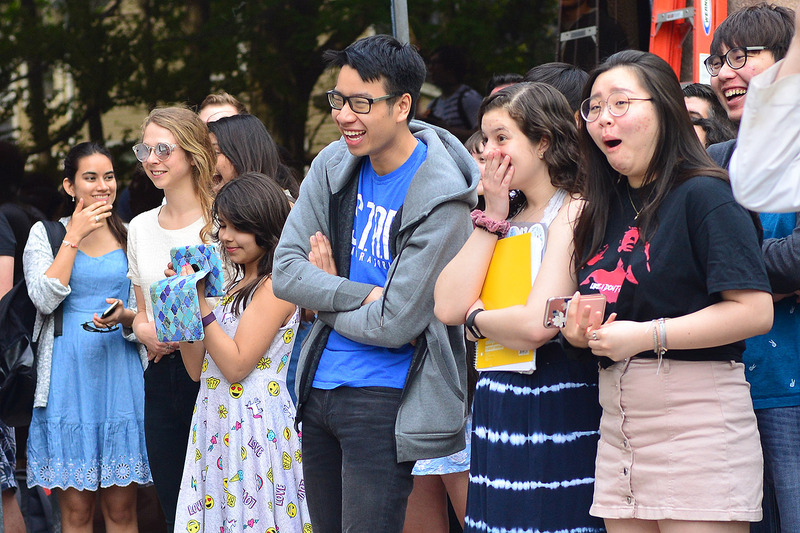 The audience reacts while watching a watermelon splat outside Exley Science Center.